The simplest way to broadcast HD live video from your mobile device or tablet. Now with support for GoPro Hero® cameras! 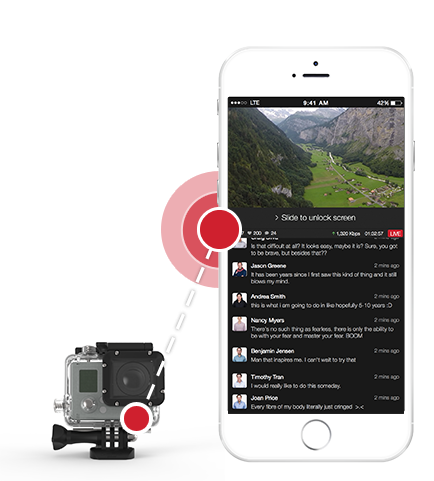 Broadcast live from your GoPro Hero®! GoPro broadcasting is for iOS only. GoPro and GoPro Hero are trademarks of GoPro. GoPro is not a sponsor of, or affiliated with, Livestream.